Who’s super-excited for the new Fantastic Beasts: The Crimes of Grindelwald? Only 9 days to go – woohoo! 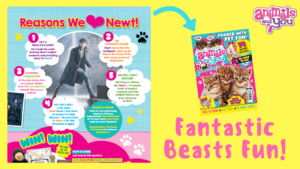 Check out the latest issue for lots and lots of Fantastic Beast fun – plus lots of goodies to win! Previous story Cool Comp Alert!